Use this 5-day workout routine for beginners to transform your aesthetics, build muscle and develop a solid platform for better long-term health and fitness. Everyone has to start their journey somewhere. The route to a perfect physique isn’t easy. It takes time, dedication and effort to craft out something you can be proud of. With this 5-day workout plan designed by our expert panel of coaches and trainers, you’ll springboard at rapid speed towards your goal. This beginner program uses cutting edge training techniques to craft out a leaner, stronger physique. As a beginner to strength training it’s important you find the right program. If you don’t push yourself hard enough, you’ll not see the results to motivate you. Rush things and you’ll end up burnt out or injured – there’s a reason why advanced programs use such brutal techniques. You want to be challenged, but you don’t want to run yourself into the ground so early in your lifting career. You need a program that suits your current goals and fitness level. It’s important you appreciate your start position; because the right program gets the best results – that’s where this 5-day workout routine for beginners comes in. The best thing about being a beginner is you’ll notice a huge difference to your physiques in just a few days. Your physique is primed and ready to soak up the strength training you’re about to offer it – and it’ll reward you with muscle tone, improved stamina and significantly lower body fat. Ask most bodybuilders what kind of training they follow, and chances are they’ll tell you prefer a split approach. 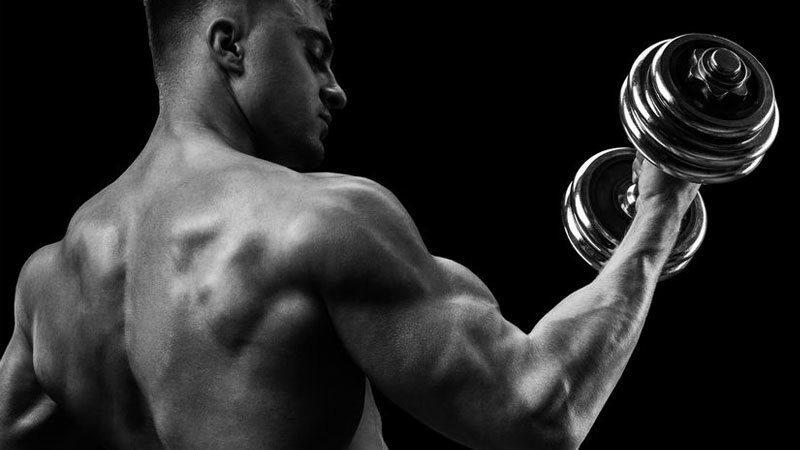 Choosing one or two muscles to annihilate each workout might work if you’re a hardened lifter or assisted with anabolic drugs… but if you’re new to strength training there’s a better way to get strong and lean – full body workouts. Less stressful on muscles, joints and connective tissue – spreading out the number of sets you complete over a few sessions helps to give your joints etc more time to recover. 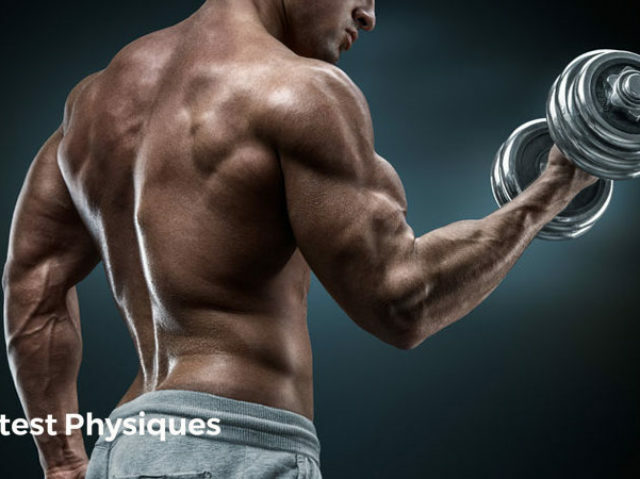 Higher weekly volume per muscle group – more sets lifted per week is a key determinant of muscle growth. Whether you complete them all in one workout or spread them out doesn’t really matter – it’s the total that’s important. Less soreness in the days after a workout – because you’re completing fewer total sets per individual workout, you’re much less likely to get sore. Added cardio effect – when you train multiple muscles in one workout, your body increases its heart rate to feed them all with oxygen and nutrients. Elevated metabolism – full-body training burns more calories and elevates metabolic rate post-workout too. Less boring and more variety – there’s plenty of room for changing up the exercises when you’re hitting muscles more than once-per-week. 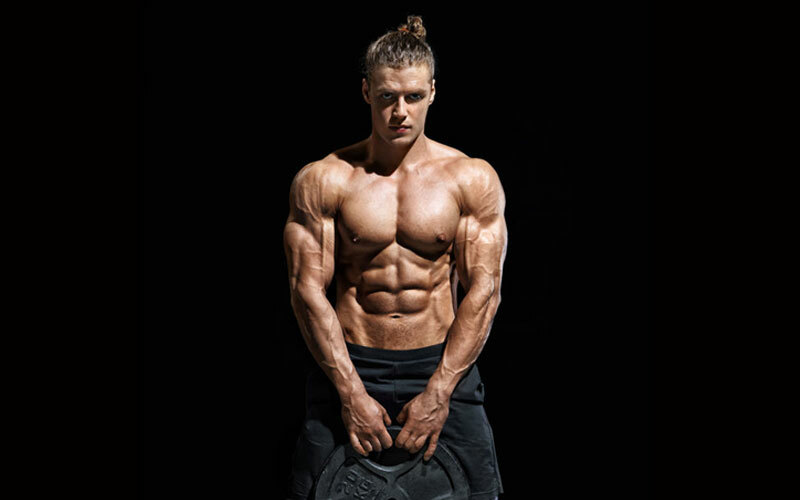 Undertaking a full-body workout such as this 5-day workout routine for beginners gives you your best opportunity yet to transform your physique in a safe, effective and fast way. Follow this program consistently for 6-8 weeks. It’s important to build healthy habits and a positive relationship with the gym. If you skip sessions in the early days, you’re setting yourself up to fail – so do all you can to build momentum. Following this 5-day workout routine for beginners will help you build the foundation of strength and muscular fitness you need to progress. Once you’ve completed your 6-8 weeks you can access one of our intermediate levels programs that’ll further challenge your physique. Let’s kick the week off with some challenging, strength-building lifts. In this first workout of the week you’ll be hitting your major muscle groups with multi-muscle exercises. It’s a hard start to the week, but it sets the tone for what’s to come. The upper body exercises in today’s workout are all in the ‘horizontal plane’. They focus primarily on your chest and upper back. 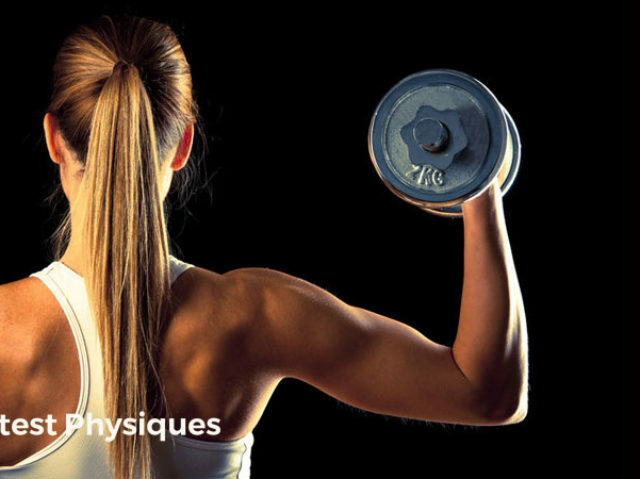 There are also several supporting muscles involved too – such as your biceps and triceps. Each lower body exercise targets your quads and glutes, with a sneaky calf exercise in to finish. Complete 3 sets of 8-15 reps for each exercise. Today’s workout hits some vertical plane muscle groups as well as your hamstrings and arms. Day 2 sees a more ‘vertical’ approach to upper body as you activate muscle fibers in your mid-back and shoulders. We’ve put in some more arm exercises to keep the momentum going and get those shirt sleeves bursting at the seams. Today’s lower body work hits your hamstrings – the back of your legs. The layout of this workout is like day 1 – but we’ve changed up some of the exercises. The plot for this workout is the same as your previous chest, back and legs workout. The movement patterns remain the same, the only difference is we’ve adapted some of the exercises to challenge you in a subtly different way. 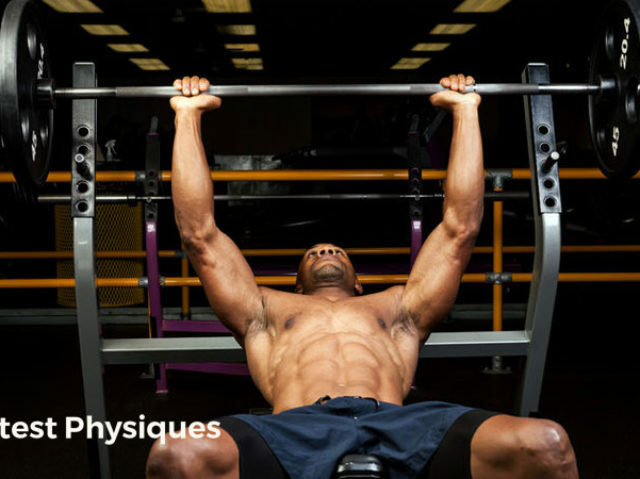 You’ll also switch up the rep range too, just to target some different muscle fibers. Complete 4 sets of 12-20 reps for each exercise. You’re back on vertical plane movements for day 6… with changes to some of the exercises. This workout is similar to the one from day 2. Again, the movement patterns are the same, but we’ve changed the equipment to push you even further. There’s nothing finer than strutting into the weekend with thick, vascular arms. It builds authority, dominance and confidence. Follow these gym hacks to supercharge your results. When you start a workout plan it can be difficult to know which weights to use. To help, we suggest a weight that pushes you to fatigue without causing complete muscle failure (where your muscles just switch off due to excessive overloading). For example, if the rep range is 8-15 you should shoot for a weight that lets you squeeze out 16 reps at an absolute maximum… but still stop at rep 15 while you’ve got one rep left in the tank. However… as soon as that weight feels easy you need to increase it. It’s only by using progressive overload that you’ll continue to improve. Taking time off the gym is really important. Without time to repair the microscopic damage to your muscles caused by exercise, you’ll eventually suffer extreme soreness. A little stiffness is fine; but debilitating muscle soreness is horrible – and not necessary. When you’re motivated by a new program it can be tough to take time off. But it’s away from the gym when you’re resting that your body adapts and improves. So, use those couple of days off to repair, restore and improve. The trigger for a better body is a great workout program. But it’s nutrition that can truly transform how you look and feel. As a beginner, you don’t need to over-complicate things. Follow these simple recommendations to optimize your diet for both health and performance. 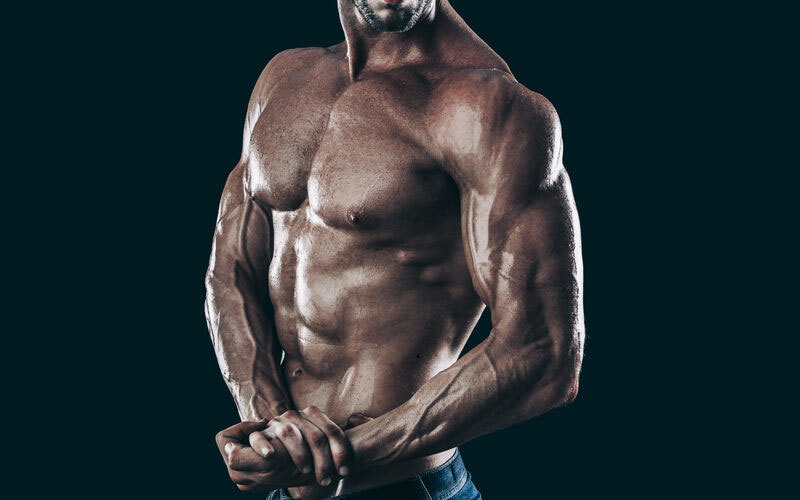 Check out this comprehensive guide to nutrition for a more comprehensive article on bodybuilding diet: eating for muscle mass. This 5-day workout routine for beginners has been specifically designed to help you shred newbie status and build a solid foundation of strength and fitness to help transform your body forever.